Social Media plays an integral role in helping me stay consistent and motivated on my fitness journey. On days when I want to skip the gym or a workout, I simply scroll through my Instagram feed for motivation. Nothing gets you up faster than seeing the photos of your favorite members of he #fitfam. 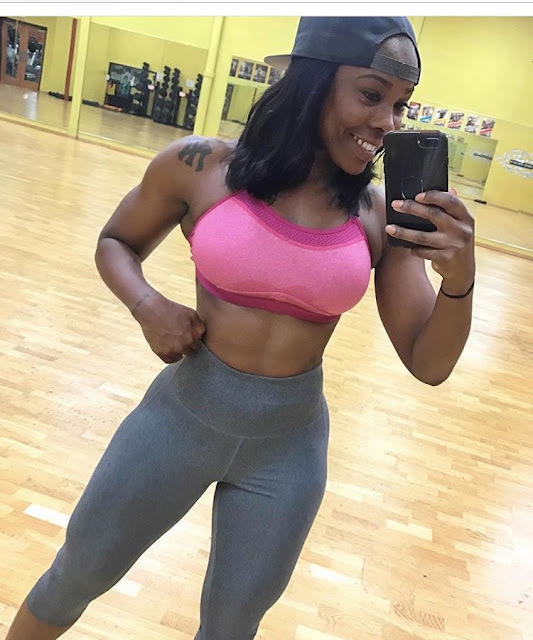 Below, I'm sharing five fit black women who provide both life and fitness inspiration. Enjoy! Through Instagram, Kamila shares a message of self-love and acceptance, and encourages women to choose their health to become better versions of themselves. She also shares tons of tips on eating clean and workout tips. I enjoy following Morgan's social media feeds. She's highly disciplined, strong, fit, and brings a lot of creativity to her routines. She's a great person to follow if you're looking to switch things up in the gym or add variety to your fitness routine. Plus, she's vegan and shares tips on eating well and staying fit as a vegan. Personal Trainer and Fitness Instructor, GetFtWithNic, advances the motto "progress not perfection." She reminds Instagram followers that getting fit takes time, but to always enjoy the journey and celebrate your progress on the road to reaching your fitness goals. She shares detailed information about her own fitness journey, and creates videos where she shows us how we can get fit outside the gym. Frantzcesca gym photos and workout videos provide tons of inspiration for those of us who love (or go to) the gym. She is a steady reminder that consistency is key in reaching our fitness or any other goal, and also encourages us to make self-care a priority. If you need both fitness and life inspiration visit Lita Lewis' page, it's filled with motivation and reminders to remain focused, accepting yourself and becoming the best version of yourself.